Is this performance the kind of thing that propels a country to superpower status? India isn't keeping the best company. 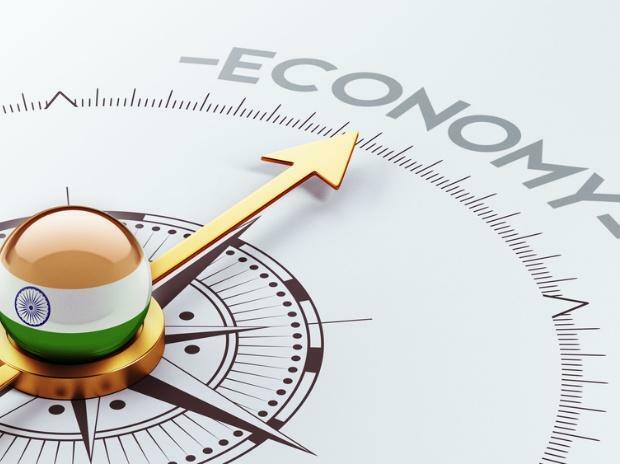 When Reserve Bank of India officials reviewed the global economy at February’s meeting, they ticked off a list of major emerging markets that had struggled: China, Russia, Brazil and South Africa all got a must-do-better grade. Disappointing numbers released Thursday mean policy makers can add one closer to home: India itself. Gross domestic product rose 6.6 per cent in the final three months of last year, down from 7 per cent in the third quarter and 8 percent in the period before that. The downdraft will likely last through midyear. At that point, lower interest rates will start to kick in and the expansion can pick up a bit. The Reserve Bank cut borrowing costs in a surprise move at that Feb. 5-7 meeting. It's clear from the minutes, released last week, that the Monetary Policy Committee was on to something. That's generally what you expect to happen, given lags between policy decisions and effects on the ground. But it's worth taking a step back and asking: Is this performance the kind of thing that propels a country to superpower status? Not only is growth slowing, but like other emerging – and fully emerged – markets, inflation is basically nowhere. Nowhere, and receding. That opens up space for central banks, for sure. You also have to ask whether these places have lost some of the key qualities that used to define emerging markets: high growth, relative to the West, and high inflation. They are looking more normal, or at least less abnormal. China, the Asian country with which India is most commonly compared, is also in the growth doldrums at the moment. That torpor comes within the long-term context of GDP growth slowing from the double-digit years of the aughts. China's expansion touched 15 per cent in 2007. India hasn’t come anywhere close. Not that gangbuster economies are always good. China's economy has its flaws. Much of the reason the country hasn't gone open-slather in monetary easing has been a wariness to build up too much debt. The People's Bank of China is still trying to deal with the aftermath of previous stimulus efforts. When it comes to the institutional framework, there are obviously massive differences between India and China. Any leader in India must contend with parliament, the courts and state governments. Also known as democracy. That limits how quickly stuff can get done. It can also save politicians from serious mistakes. China has competing interests and constituencies as well, but it's not the same sport, let alone ballpark. So where does this leave India right now? More interest-rate cuts and fiscal priming ahead of national elections in the next few months. It's not hard to see a rate reduction before the next scheduled RBI meeting in April. In that sense, the data is moving in the committee’s favour. Meanwhile, India is firmly a member of the Club EM. For good or ill.